This is not consistent with your 0.5p valuation of Bonvoy points or your 0.75p valuation of avios. 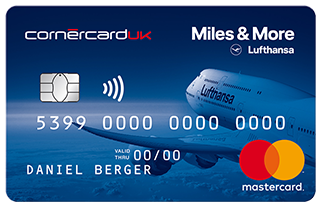 It equates to £150 of value at Marriott or £75 of value at avios less the amount of the £75 card fee expended. However, the ability to transfer to other airline schemes such as Lufthansa that are otherwise more difficult to collect confers greater value than avios. I would argue that the nectar card is the best value as it has no fee, and with patience it is possible to get double the face value (0.5pnp/£100 total) on Sainsbury double up, LNER or eBay should past offers continue. Not only that, if applicants can wait until autumn when nectar frequently offer an additional 10000 points for applications, there is an additional £50 base value on offer with potential for £100 on above mentioned offers. While I appreciate and share your misgivings about Nectar, the landscape has changed on the store schemes due to the difficulty now in collecting large numbers of clubcard points. Collecting large volumes of nectar points is comparatively easy and feels painless due to frequent bonuses, and there are much more lucrative offers often available on financial product when compared to clubcard too. I feel it is time you revisited Nectar and gave it a fairer hearing. Slight clarification on the above. The Amex Nectar card is free in the first year and £25/year after. It’s a useful card to have for Shop Small but by holding it you are still blocking yourself from getting a bonus on most other Amex cards under the 24 months rule. If this is the path Amex are to take then I feel in order to make me keep my cards they need to offer better anniversary bonuses or monthly spend targets for extra points etc. For the 2-4-1 voucher does the AmEx card have to be in your name to pay for taxes? Or can it be in your partner’s for example. The problem is that after earning the voucher you want to cancel the card ASAP to start the 24 month clock. A good tactic would be to get BAPP, earn voucher, refer partner, cancel card. Use voucher partner’s card. Amex/BA never used to check the name, just that it was an Amex card. Not sure if that is about to get tightened. Lots of chatter, perhaps unfounded, that the T&Cs of the 2-4-1 are to be enforced. Amex security does not check name. You can type in any cardholder name you want. You only need to pay on an Amex card, there is no name check or even Amex card type check. So any Amex in any name is fine. Don’t you need to have an Amex card open if due to travel on a 2 for 1? I would like this answered also. You need to pay the taxes on one, yes. Good point. Need an Amex card to book. Supposedly a BA Amex, but not at the time of flight. T&Cs do not give them the right to revoke your voucher and/or booking. As per the T&C’s yes, you’re right – you need the card. But in reality no, once you’ve paid the taxes you’re fine. Only thing that could be construed as such is point 26 to remain eligible at time of travel. However, “eligible” is not a defined term. The requirement to book using a BA card is clearly defined. If Amex wants you to have the card at time of travel that should be clearly defined and not open to interpretation. To me eligabilty with regard the flight pertains to BA. If you have been expelled from the Exec Club I dont want your chances of the reward booking being honoured. inalso read eligibility from an Amex perspective that you’ve not triggered the voucher with a spend that has subsequently been refunded. I.e. spent 10K on a large purchase, booked 241 flight, then taken said purchase back to shop for a refund. And by extension, change is not the same as book AFAIK, but cancel & rebook? now there’s another question. You seem to be missing the point that your strategy involves spending several hundred in fees to get 65000 Avios. For me it isn’t worth the cost or time taken. We as collectors were used to gaining the points for very little outlay. My strategy is going to change from now on. And no I’m not revealing it it’s a dog eat dog world I’m afraid! Fees can be prorated so the actual spend may be less than “hundreds”. For me, Avios simply arent very attractive so my stratergy will be different but the point stands. The ongoing spend option does not look attractive at all. My guess is pro rata will go soon, cannot see it lasting if amex goal is to reduce churning and encourage loyalty. It is global based on Amex’s accounting policies. Rob is really focused on the 2-4-1 voucher. To make optimal use of that voucher you need to earn a lot of Avios so basically the voucher sort doubles the value of earned Avios. If you already a pile of Avios you probably should get the BAPP only and not pay for Platinum. Furthermore it only makes sense if you actually would pay for upper class long haul flights. Using Avios for long haul economy is not recommended. Fees are all refunded pro-rats. I should be able to get the Plat Business card, I know you can refer from the personal cards. My question is can you refer from the business card to someone for say a personal card? Yes, if you are using a browser which doesn’t block other cards showing. I am referring now then canceling everthing shortly after. I think this may well turn out to be a two stage process. I see the number of Amex users falling alongside new applications doing likewise. 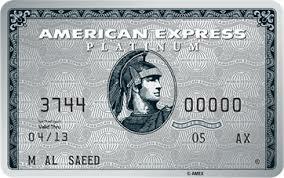 I think Amex expect this and will counter with better sign up bonuses. I do not think they will annouce such anytime soon as it would incentivise those on the fence to cancel. There is no point annoucing them in the short term (for example 6mths) because a lot of people will still be within the 24mth window. My gamble is that in 24mths bonuses have improved (not to US levels) and I want to be able to take advantage of that. In the meantime spend will go elsewhere. Yeah I agree, Amex announcing bigger sign up bonuses now would pee people off as most would need to wait another 24 months. I don’t churn hard but Amex have made their cards pretty unattractive now. What is the incentive to spend on them, swallow the fees, when the ability to collect enough points to redeem is so extended. At my age I have only a few 2 year churn cycles before travel insurance gets punitive. I will wind them all up and cancel. IHG, Virgin and Hilton ( if it ever happens ) will be in my wallet. Without a flow of 000’s points and Avios into users hands the demand to burn them is going to shrink. I have not held Gold, Starwood or Plat for around a year but cancelled BA in January this year, does that mean I can’t go with strategy 2 because I have held BA? 24mths from your BA cancellation. You can get Plat in a year because that is only concerned with other MR cards. How does Amex consider non-activated cards? I ordered an Amex Nectar cars in January (to get a Platinium referral bonus) but never activated it. Should I activate it and cancel it to reset the 2 years period? Still counts as issued. Activation is purely a security thing. I know readers who applied for Gold, changed their mind and called 24 hours later to swap it for Plat, and got no bonus as first app made them an existing cardholder. 65k avios worth £487.50 at your 0.75ppa valuation so holding cards is more attractive than it might first seem. I am sure virtually all of us can better this on amex offers over two years (Liz has probably beaten it using shop small alone in onr year!). Furthermore, holding the cards makes it easier to gain the referral bonuses. As I mentioned a few days ago we need to avoid knee-jerk reactions and think twice before cancelling all ouf existing cards. For referral though you could still get in and out within a month. Save on fees and put the spend elsewhere. Just do that every 12mths and forgo the sign up bonuses. No need to hold the cards if that is your thinking. I currently have BAPP and SPG and nothing in hubby’s name at present so will likely stick with these 2 till hubby is eleible again. Away in van ATM in sunny Stonehaven so can’t check my dates. 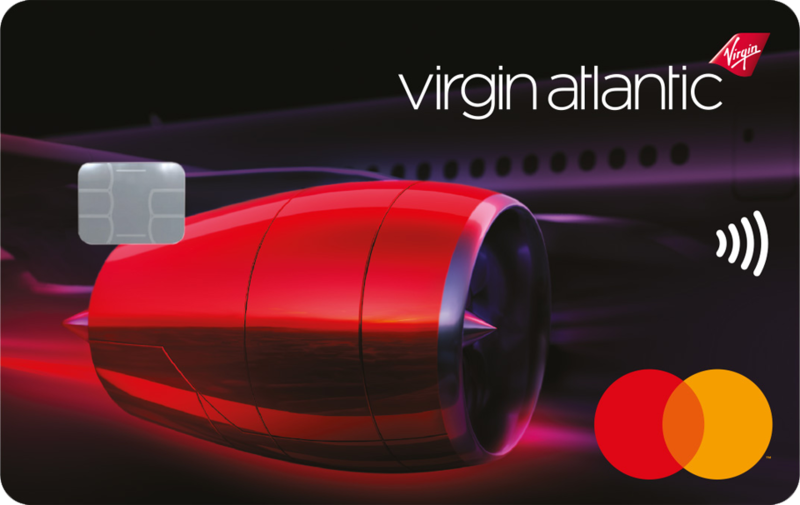 Glad I didn’t follow the strategy of earn and burn as I have 330+ Avios, 180k Virgin and £700+ Clubcard points saved for future trips. We tend to only do one big redemption trip per year so we are ok for the next few years. My fear of cancelling the BAPP would be that it gets pulled before 2 years are up. I will take out the Plat card next month instead of hubby for the insurance, car insurance then cancel again shortly afterwards. Will also continue to use IHG card and start using Virgin and Hilton cards a bit more. I would consider taking out Platinum once a year for hotel status and car insurance, but I don’t see the point of keeping it for more than a couple of months if there’s no sign up bonus, it just doesn’t justify the fee. I wonder if there will be a big dip in uptake and retention with this card. Don’t forget the 5 x referrals when you hold Plat. That’s the best bit going forward. I don’t have anyone to refer except each other and that is now severely restricted. Yes, we will still hold the plat, referring each other, for all 3 cards ( Plat, Bapp, SPG) on a reasonable rotation, which will keep the earning levels up enough for a J 241 to Asia annually. Plus double dipping in Tesco. As most of our spend goes via amex. Will drop the WE MC down to Premier mc, so still earning .5/£, but no fee then. But may move back to the new Lloyds mc when we get it, as it will earn 0.4/£. And drop the hsbc mc entirely. So thinking it through atm. And of course, curve is linked to our hsbc mc, very useful too. Council tax etc etc. As conscious of fees, can take £450 pa, with pro rata refund, as we will have the referrals out of it. And use the PP when on ryan air etc from Dub. Use T5 to fly to Dub ongoing tho. And usually get a good whack of the fee back w offers. But yes, serious loss to us…but not the end for sure. I’m the same Liz. Good strategy would be to team up and refer between 4 (or 2 + 2 partners ideally) every 6 months. That way you have the platinum benefits for 1/2 the time, 1 in every 2 years. I have not yet decided, we will probably split the difference witn me holding and my partner cancelling. Also ok here through end 2021 with no devaluations. Not sure if you would consider renting out your van but be advised The Ooen us at St Andews next year so there vould be rewarding opportunities. No way would I rent it out! It is our wee cosy home from home and would hate for it to get trashed! Spending the week exploring the Aberdeenshire area which we would never normally do if we had to pay for hotels or B&B’s. Making the most of our investment and seen more of Scotland in the past 2 years than I have my whole life. Need to start going further afield though in the next few years. Liz. You need to take the ferry over to Santander, and keep to the coast, Northern Spain and down through Portugal, all the way, and return totally off the beaten track where possible. No flying…Curve card plus back ups. I will add it to our never ending to do list! Would love to just hitch up and go to Europe for 3 months but we have elderly parents here so need to always be going home to check up on them! Hopefully get to do this in the future though. I think my plan is to keep an ARC card for myself and my wife to keep MR points alive and then for one of us to get a gold card and refer the 90k limit during the free year. Cancal the gold having got the spend bonus and then repeat. It is a big gamble, the amex landscape may look very different in two years and you have missed the benefits and opportunities in the interim. Making use of Meliá gold status in Tenerife soon, you get three vouchers each worth 20% off. How long do you need to have had the gold/plat cancelled before you can reapply and get the first year free? Specifically had the gold charge for a year and upgraded to plat which I now have but want to cancel and change to gold credit card, i’m guessing there’s no way to self refer to this? Yes you should be able to self refer from Plat to gold credit. As this is a separate product not a downgrade you shouldn’t get charged the annual fee in the first year. Won’t get the sign-up bonus though. You get first year free and lounge passes irrespective. Tracy, can you report whether the HMRC payments with the COT business card go through OK?